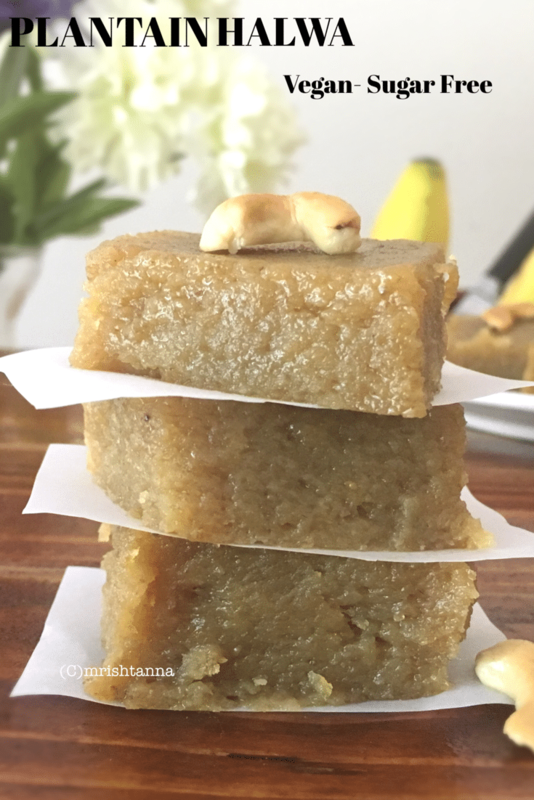 Sweet Plantain Recipe – Plantain Fudge is made with healthy Ingredients! Power foods don’t often come in pretty packages and Plantains are a good example for that. They are a close relative to the common Banana, but far more nutritious. For all the nutrients they offer, they are a special challenge when you try to get kids to eat them. Even when they are ripe, it is lot more starchy and fibrous than bananas. 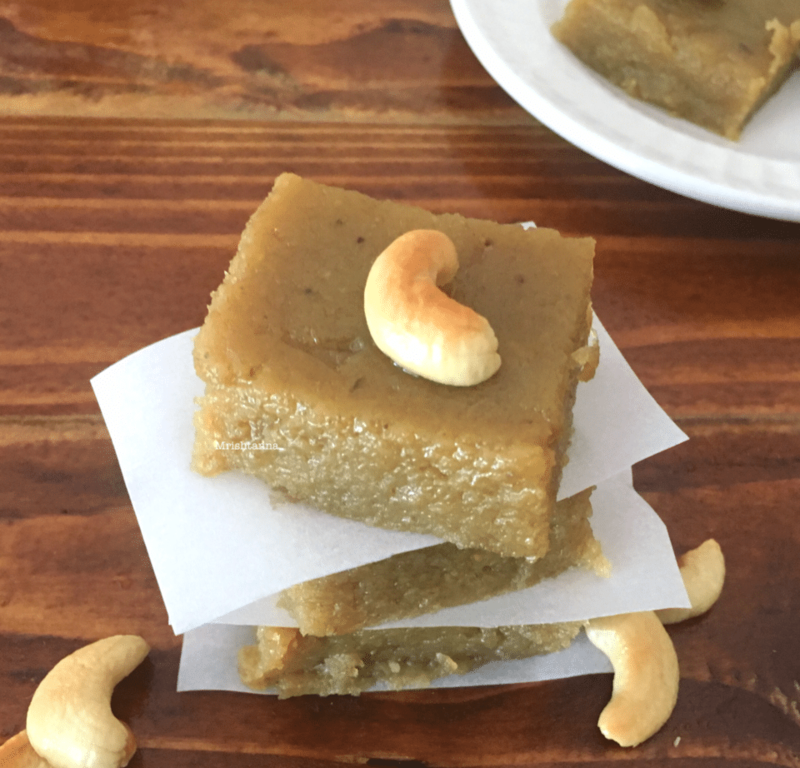 Today’s recipe is a Sweet Plantain Recipe – Plantain Fudge that’s called ” Halwa” in India. I am making with Ripe Plantains. With a very short list of ingredients, this recipe is something you can try with little or no prep time. All you have to do is look for ripe plantains or buy the tender green ones and allow them to ripen at home. If you have never bought or considered plantains, you have got to try this first. 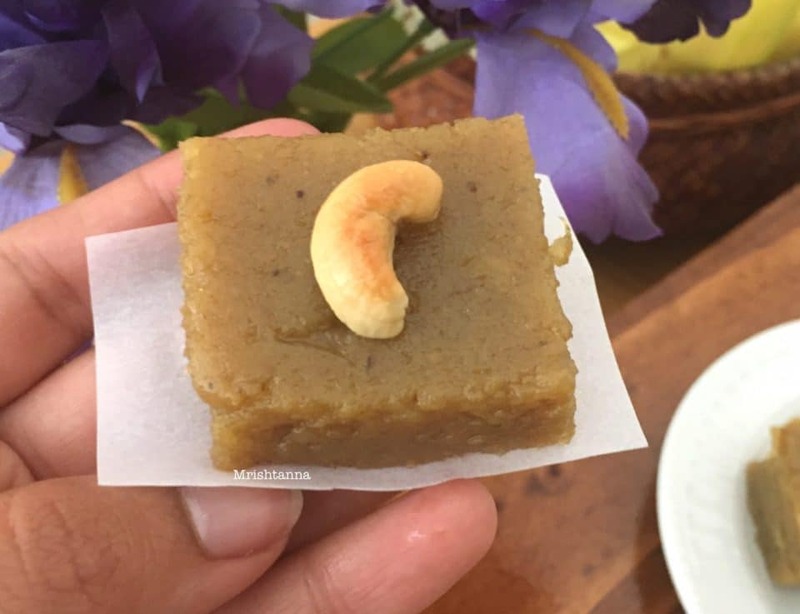 Plantain Halwa is fairly common in India, although not in a vegan way. I have made a couple of healthy changes to the usual recipe to stay true to my vegan principles with no compromise on taste. I used jaggery instead of sugar and refined coconut oil instead of Indian Ghee. The main ingredients are the overripe plantain. And I made little twist by changing other ingredients to make healthy and vegan. Hence there is no cholesterol in this dessert anymore. A little tip before you start is that, with ripe plantains, you may not be able to peel them like you peel bananas. But it is okay to use a peeler to shave off the rind before you get to the edible part. Finally, my kids have taken a liking to Plantains after this recipe. I am hoping this recipe is a wonderful addition to your table. Try a sampler portion today! If you like the taste, it is a great option for a healthy dessert. 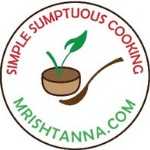 For more recipes please subscribe through email or visit my facebook page. Thanks for visiting my blog! Remove the skin from plantain and blend them into a smooth consistency. Meanwhile, place the pan over medium heat and dissolve the jaggery with 2 tbsp water. Place a pan over medium heat with the refined coconut oil. Add plantain paste and saute for 10 minutes until the raw smell is gone. Then add the dissolved jaggery to the plantain paste and continue to cook. Stir occasionally as the moisture evaporates. After about 20-30 minutes, the plantain Fudge is ready. Add the crushed cardamom powder and give it a final mix. Remove from heat and pour it onto a greased pan and spread evenly. Let it cool for 10 minutes before cutting them in squares. 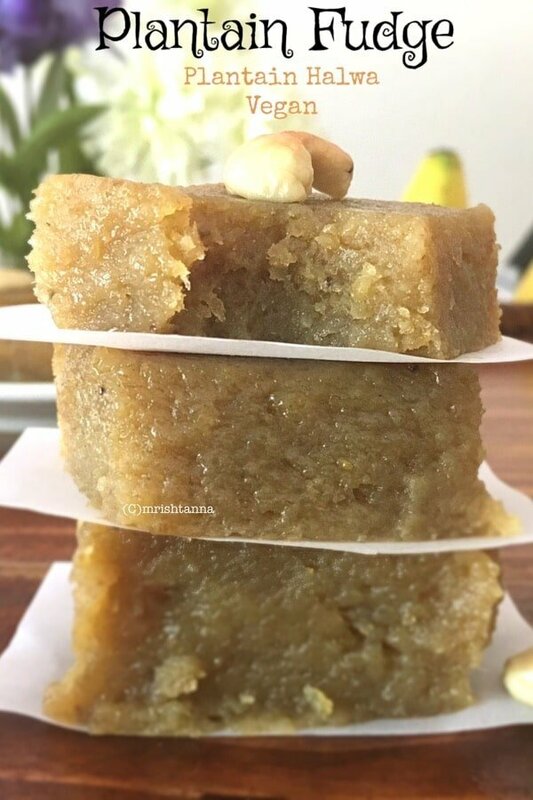 Sweet Plantain Fudge or Halwa is ready! Serve with a glass of chilled non-dairy milk! Place a pan over medium heat with the refined coconut oil. Add plantain paste and saute for 10 minutes until the raw smell is gone. Meanwhile place pan over medium heat and dissolve the jaggery with 2 tbsp water. Then add the dissolved jaggery to the plantain paste and continue to cook. Stir occasionally as the moisture evaporates. After about 20-30 minutes, the plantain Fudge is ready. Add the crushed cardamom powder and give it a final mix. Remove from heat and pour it onto a greased pan and spread evenly. Let it cool for 10 minutes before cutting them in squares. Add more jaggery or sugar if you prefer more sweet. Can I use regular bananas in place of plantains? Hi Madhavi. Yes you can. But It will take time compare to Plantain.